Dreaming – Orocrea Jewerly s.n.c. Clear your spiritual connection listening to your inspiration. 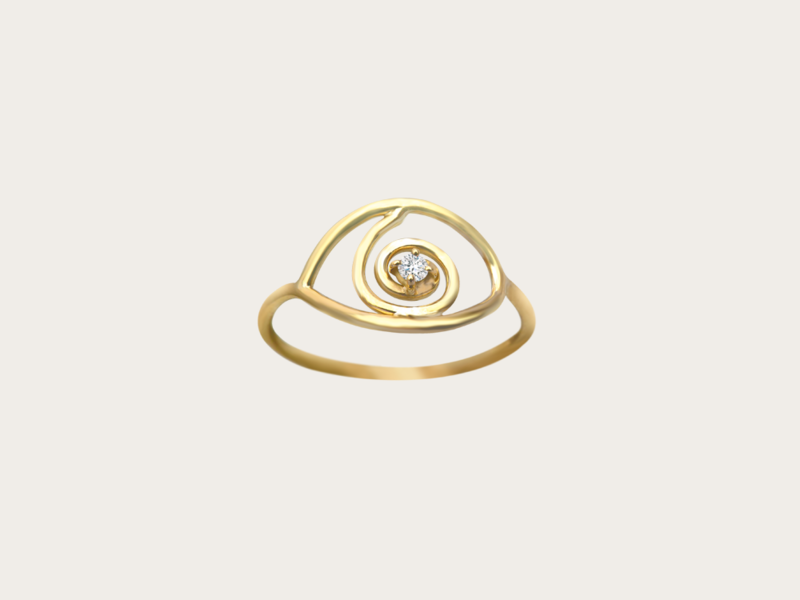 This ring is made with yellow gold 18 kt, the metal with solar and masculine qualities. It opens your channel of communication with the spiritual dimensions. The sign in sacred language awakens the prophetic capacities in a balanced way. The central diamond colors the jewel with a clear light.